A host of ex-M:Communications clients have moved across to newly launched Vigo Communications, co-founded by a former senior member of M:'s energy team. The strategic comms venture has been created by former M: consultant Chris McMahon and Peter Reilly, an energy market veteran who has held senior positions at BP, BG E&P and Enterprise Oil. PRWeek understands other former M: staffers are set to join up with the venture once contractual issues relating to their departures are ironed out. It is believed that Patrick d'Ancona, the leader of M:'s energy and renewables practice, and M: consultant Ben Simons are likely to become part of Vigo's launch team in due course. Vigo declined to comment on future additions to the team. The agency launches with a collection of former M: clients, including energy firms such as Australian-listed Dart Energy and North Sea oil specialist and summer IPO candidate Hurricane Energy. 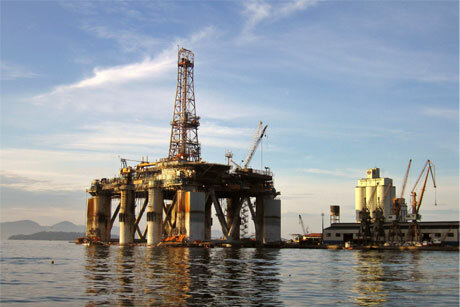 Other former M: clients known to be working with Vigo are Falklands Islands energy exploration firm Rockhopper Exploration, Africa-focused gas exploration company Tower Resources and AIM and Toronto-listed energy firm Caza Oil & Gas. Despite the energy specialism of its launch clients, Vigo intends to be a full-service agency also focusing in particular on the mining and media sectors. Peter Reilly, Vigo director and co-founder, said the agency's 'guiding principle' would be 'the highest quality delivery of our services to clients'. He said: 'This will be undertaken by a team combining both corporate and advisory experience, bringing a balanced perspective to our advice. The client and staff departures from M: follow the resignation of a number of senior figures, including Patrick d'Ancona and M: co-founders Nick Miles and Hugh Morrison (PRWeek, 1 March). Other M: energy and exploration clients to have left the agency in recent weeks include oil service company Cape to Buchanan and Shaft Sinkers Holdings, the London-listed underground excavation firm, which has moved to Aura Financial.